Página inicial Ocio Super Hero Homies! 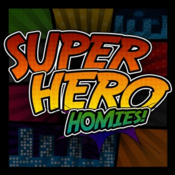 The Homies discuss the current events in the world(s) of comic books and superheroes. (The first half is spoiler free and the second half is spoiler filled). Hellboy has officially made his theatrical return. While it is great to see the demonic hero return everyone is wondering if this movie can hold up or compare to the originals. Well we have seen the movie and the answer might surprise you. Check it out! The first Civil War story arc was a pretty big deal. Never, on that scale, have we seen heroes fight each other to that extent. The driving factor was their reason for fighting. It felt gripping and understandable. With that being said, Civil War II had pretty big shoes to fill. Would the sequel be as strong as the original, would it just be a cash grab or something in-between? Should the future be protected or changed? Check out our review of Civil War II. The first half of the episode is spoiler free and the second half is spoiler filled. The Homies discuss Shazam. They break down the main characters, plot points and other aspects of the film. Acerca de Super Hero Homies!